Cheer and dance head coach Rickey Hill addresses the dance team before a basketball game. The freshmen of 2016 were both excited and nervous to start their journeys on Loyola’s campus. 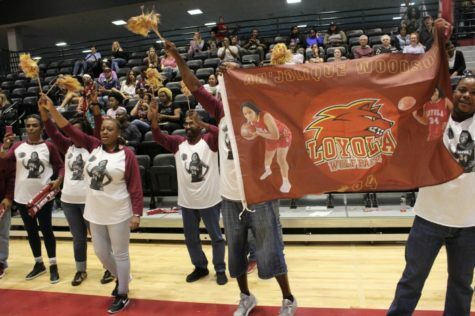 Athletes that year in three Loyola sports programs faced similar emotions as they were welcomed to The Den. 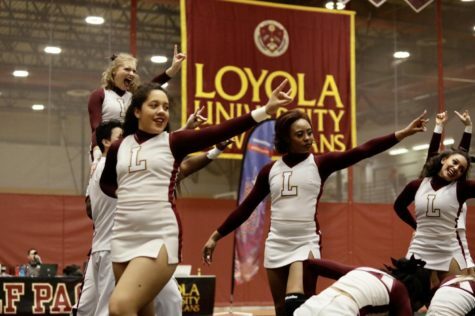 The Wolf Pack introduced its cheer, dance and swim programs in the fall of 2016, marking the first time those sports had graced Loyola’s campus competitively. Athletic Director Brett Simpson said student enrollment was one factor that influenced the addition of new sports. Simpson admitted there were some challenges when first establishing the programs and getting students excited about being part of the Pack. Despite the initial recruiting struggles, Loyola’s athletics department has seen success at multiple levels from the three programs. “Competitively, the results are pretty obvious, as we have seen great success on a national level,” Simpson said. The women’s swim team ranked sixth in the country in the Southern States Athletics Conference last year, while the men’s team finished ninth. 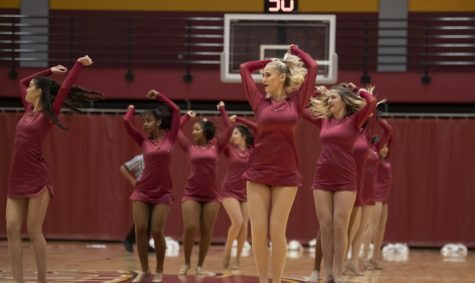 Meanwhile, Loyola’s competitive dance team finished 11th at its national competition and racked up their second consecutive conference title, and the competitive cheer squad has finished as high as second place in the SSAC over the past three years. “Academically, the average GPA for those programs is 3.234, so they are exceeding expectations in the classroom as well,” Simpson said. Cheer and Dance Head Coach Rickey Hill said the teams have grown a lot in talent and size over the years, but he noted both programs dealt with inexperienced athletes in the beginning. Since then, Hill said he has been recruiting hard, and the addition of dance coach Tiffany Willis this year has made the growing process easier. Hill said he’s always had a passion for cheerleading as he was one himself in high school and college. He has done camps, choreography and traveled across the U.S. as well as Germany and Australia. Despite being around for such a short time, Hill prides himself on making both of the programs stick out from the pack. Hill said that he has pushed creativity in both programs by getting input from the athletes and also bringing people from outside to do clinics as well. Hill also credits the welcoming aspect of the athletics program as key to cheer’s and dance’s success. 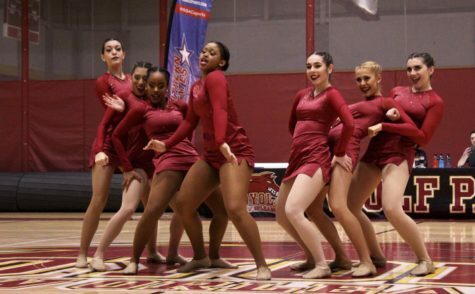 Music industry junior Beth Cohen shared her feelings of coming to Loyola’s new dance team upon entering college. Cohen said that the growth of the program has been a main factor of the increasing success of the program. As for biology junior Kristen Williams, she questioned cheering at first, but saw an opportunity that would eventually lead to her decision. 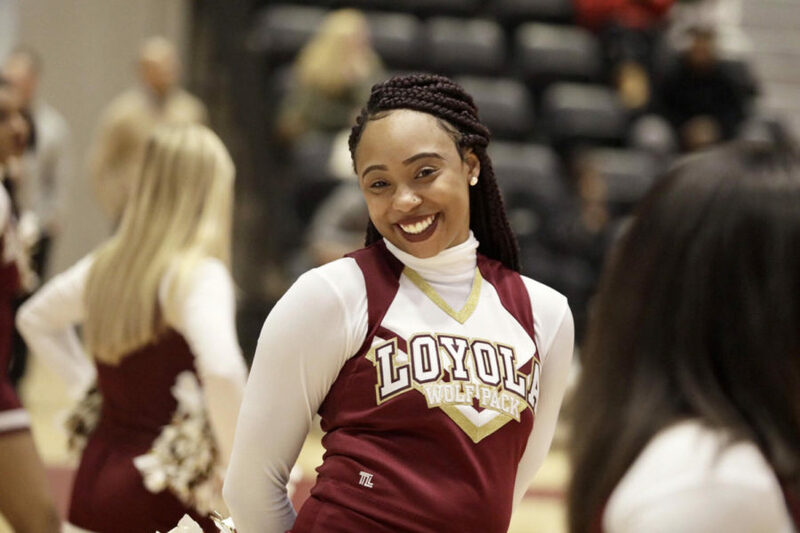 “I really didn’t think that I wanted to cheer in college, but when I heard about the beginning of the program and the opportunity to be a part of the competitive team, I felt drawn to choose Loyola and chose to cheer,” Williams said. 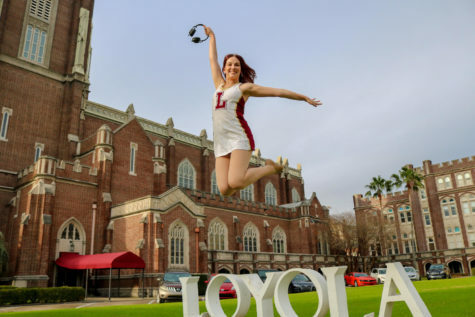 Williams said she felt proud of the athletics department at Loyola since not many schools recognize their cheerleaders as student-athletes. 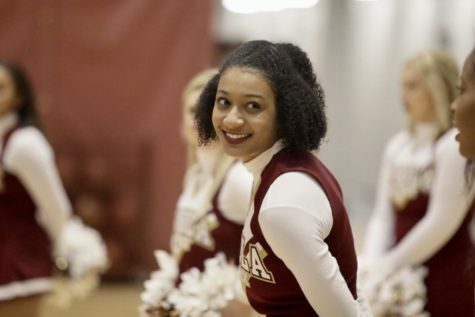 Williams also enjoys the relationships she has developed while cheering on the sidelines. Williams said that she hopes that the program will continue to flourish and compete against some of the most talented teams in the nation. “As I leave Loyola, I look forward to hearing the growth and success of the team and hope to have left my mark on the team and at Loyola,” Williams said. 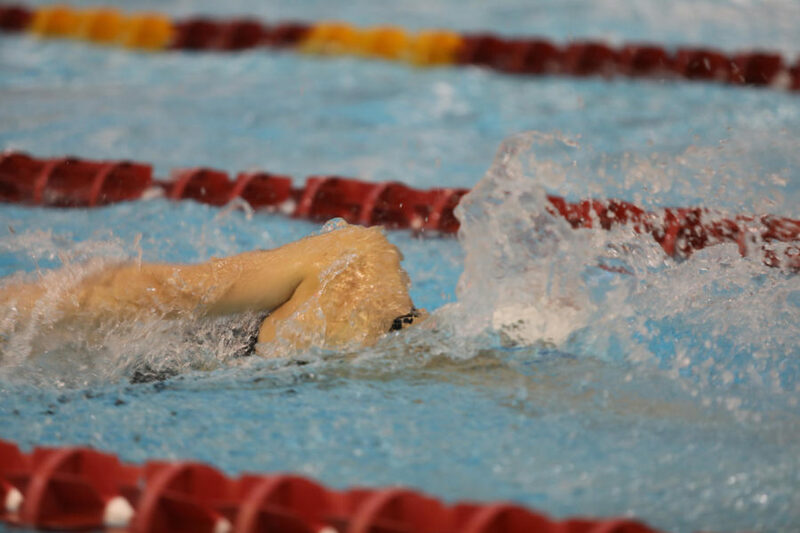 Loyola’s swim program has found just as much success as the cheer and dance teams in their three years on campus. Warren Massimini, business analytics junior, has been a member of the team since it was established back in 2016. He is grateful to have taken the opportunity to join the team when he did. “The opportunity to start at a first year team and be able to build and watch the team grow, knowing you helped contribute to that growth was a really unique and a ‘hard to pass up opportunity,’” Massimini said. Massimini also mentioned how the uniqueness of the program has played into the team’s success. The team featured 14 All-Americans from both the men’s and women’s teams as well as the national rankings last year, all of which are improvements from the previous two years. Head Coach Thomas Natal has been a major factor in the team’s success. As a New Orleans native, he found it difficult to pass up the opportunity to coach a new team from the ground up. 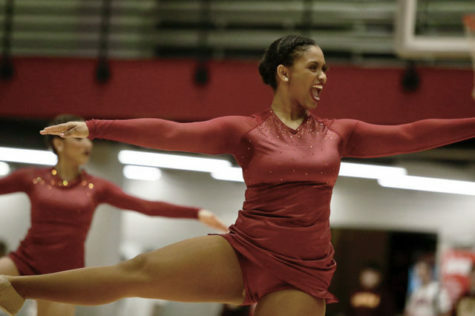 Natal said that some of the struggles came with laying down traditions for a new program. However, one of the main successes for the team is the addition of swimmers over the years. Natal plans on continuing the the success around the culture, that he himself, the coaching staff, and the athletics program have built over the past three years. The overall achievements of all three teams has been created ripples within the athletics department. Simpson said that he expects the success to continue for the programs.